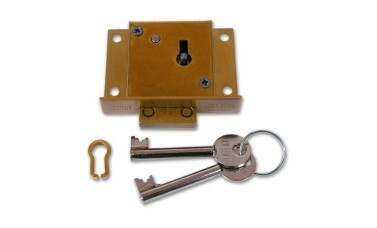 The Union Lever Cut Drawer Lock suitable for wooden drawers 32mm material thickness. Supplied with 5359 brass thread escutcheon. Operation Deadbolt is locked or unlocked by key. 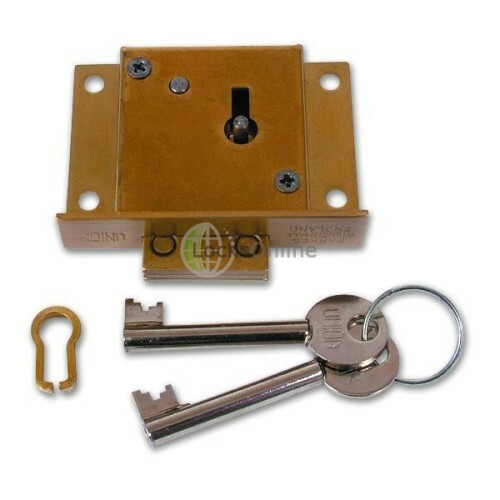 The Union Lever Cut Drawer Lock suitable for wooden drawers 32mm material thickness. Supplied with 5359 brass thread escutcheon.